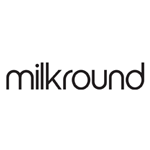 New research from graduate jobs board Milkround has revealed that almost one in three (27%) are worried they will lose out on roles to other applicants who can afford to accept a poorly paid internship. With the long hot summer coming to an end, and the next round of grad schemes starting, new graduates looking to enter the workforce may be missing out on new roles due to their financial situation, rather than not being the best person for the role. The research from Milkround showed that no matter their finances, Gen-Z graduates are ambitious and have high expectations, with 65% believing they will work in their dream industry. This translates itself in their desire for internships as the first step to scaling the career ladder, with more than half (55%) believing this will help them secure their dream job. With internships being the standard route into the workforce for graduates yet often underpaid, there’s a question as to whether these programmes are creating an unlevel playing field for those who cannot financially support themselves through their first role. “With many internships remaining low-paid, it is understandable that 27% of graduates are concerned by the prospect of losing out to other job-seekers who may be in a more comfortable financial position. “However, encouragingly we are seeing a growing number of companies across the UK offering financial support to interns in order to tackle this issue. From help with accommodation to covering travel costs, this support is helping to level the playing field amongst those entering the workforce.